The nature of insurance is changing thanks to companies like Metromile, which lets drivers pay per the miles they drive, and Lemonade, which allows renters to insure specific items in their apartment. For companies in the real estate and construction space, though, they still have to deal with procuring liability insurance, which is both expensive and time consuming. That's where Jones comes in. The company provides Software-as-a-Service tools and pay-as-you-go insurance products to help real estate owners, managers, and builders deal with the issue of liability insurance that comes when they hire trade contractors. "Jones is solving an age old headache in the insurance world and that is independent contractors who, today, struggle with expensive and inflexible liability insurance products. They really have no choice but to buy those solutions for real estate and construction enterprises that have strict and often varying insurance requirements when hiring independent contractors," Omri Stern, CEO and Co-founder of Jones, told me in an interview. "The way that we solve that is by offering the freedom and flexibility of pay as you go solutions in insurance." On Thursday, the company announced that it raised a $2.8 million seed round led by Hetz Ventures, along with JLL Spark, MetaProp Ventures, GroundUp Ventures and 500 Startups. This round includes $500,000 in convertible notes that Jones had raised in August of last year when it graduated from the 500 Startups program. 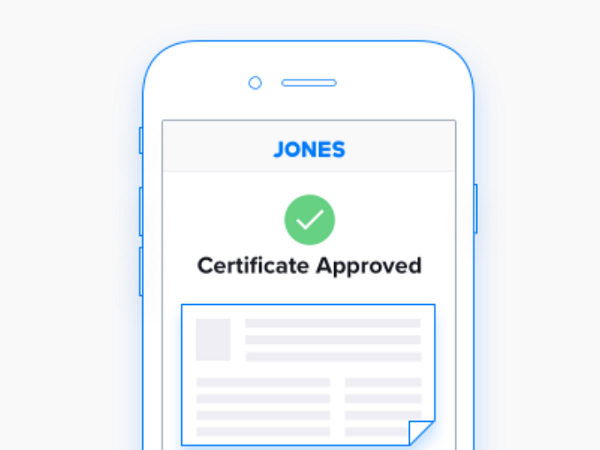 Jones, which was founded in 2017, works with real estate or construction enterprise that are dealing with the inefficient and paper-based pain points of insurance compliance. "We provide these large organizations with software that automates, streamlines and simplifies the whole insurance compliance process from A to Z. So it’s the process of collecting certificates of insurance, reviewing, identifying gaps and putting it in easy to understand formats, and then resolving those gaps with the independent contractor when their insurance is not compliant for a job. The resolution of the gap is to take place either by requesting a new policy or a new certificate, or, alternatively, providing pay as you go solutions that meet the requirements of the enterprise," Stern said. Then, whenever a vendor is hired, the building will send over link by e-mail where they can purchase insurance for their project. In just a few minutes they can get a quote that is authorized immediately online, or, if they already have insurance, they can drag and drop their certificate of insurance on the platform, or snap a photo with their mobile device. Everything else is handled by Jones. The company is still in beta with a handful of large construction and real estate players including ARCO Construction and JLL. The plan is for Jones to come out of beta some time in November. That's why Jones doesn't just offer a pay-as-you-go insurance solution, but a technological solution as well, as a large part of the problem with liability insurance is the lack of technology in the insurance world, which still relies on paper, phone calls, spreadsheets and emails. "If you can imagine a company like JLL has to deal with 50,000 insurance policies or insurance certificates, that’s a lot of paperwork. So the way that we solve that uniquely is not just providing insurance at the point of need when an independent contractor is being hired but also by deploying technology that, for the large enterprises like JLL or a handful of other clients, is really killing the headache," said Stern. "In other words, simplifying and speeding up the process of making sure that all your independent contractors have insurance. That’s SaaS that’s deployed at the enterprise level which is what enables us to serve the smaller clientele that’s seeking to bid for jobs with these larger enterprise, with respect to their insurance challenges." For example, if a building in San Francisco is hiring 100 vendors in the next month to do various different projects on the building, such as janitorial work, painting, remodeling and so on, before Jones the building would have an administrator spend 35 to 40 percent of their time collecting and reviewing insurance certificates. Now, by using Jones, they only need to spend just five percent of their time logging into the system, looking at a list of all the vendors, seeing in they are compliant or not. In addition to the time savings, there's also a cost savings that comes with using Jones as well. "Typically an individual who manages of certificates of insurance is probably paid about $50,000 per year, it’s an administrative function, and we are saving them $15 to $20,000. So if you multipy that by the number of buildings that JLL has, which is in the low hundreds, or the number of projects that a large construction company has, you can imagine the ROI as low as $100,000 and upwards of a million," Stern explained. Jones plans to use the funds to launch its first product, a flexible duration General Liability insurance policy, in the fourth quarter of this year in partnership with Chubb Insurance. "We’ve integrated our distribution platform with Chubb's digital underwriting platform. Chubb has a pretty unique and forward thinking platform that enables insurtech startups who are focused on various different verticals to plug in and quote, bind and price and issue policies, all automatically," said Stern. "With Chubb what we’ve been working on is a product that is focuses on the trade contractor vertical or otherwise the vertical that serves real estate and construction. It’s pretty exciting the way the product is going to work because, in a sense, we’re going to be be able to vastly speed up the process by which small businesses are able to get quotes on our system, and it also gives us much more flexibility in the experience." In addition, Jones will be expanding geographically. It is currently licensed in 12 states, including Texas, California, New York, Alabama, Tennessee, Mississippi, Florida and Georgia. The company has plans to be in 30 states by the end of this year. "We’re really focusing on areas where there’s demand both on the growth and the employment on the trade contractor side, as well as new building permits, and real estate investment in both residential and commercial. That’s how we’ve expanded in the states, so if you looked at the map it would look sporadic but it’s actually very strategic even though it’s not highly concentrated in any one eastern, mid-western or western region," Stern explained. "We’re going to continue to expand, so we’re going to be getting our licenses in Ohio and other mid-western states where there’s been some activity, so it’s really based on the economic real estate activity as an index at large." 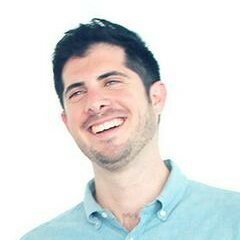 Finally, Jones plans to build out its team from 13 to 20 in the next six months. While its tech team is based in Tel Aviv, its account management and sales are located in New York City, and that it is the latter team that it plans to expand. Once the company raises its Series A, there are plans for further build out, with potential new offices in San Francisco, Los Angeles or Austin, Texas. While there other companies in the InsurTech space that provide services to small businesses, such as Bunker, Verifly and Next Insurance, those companies all focus on a wide selection of verticals. What separates Jones is its narrow focus on solving the problems in the real estate and construction space. That focus, Stern said, allows Jones to go deeper and to actually offer better insurances rates to its customers as a result. "What allows us to do that uniquely and offer the best rate possible on the insurance side and the best policy possible on the insurance side is because we are sitting at the enterprise level embedded in the enterprise and solving the insurance compliance problem for them, which gives us access to a granular and high resolution data about the risk," he told me. While traditional insurance companies today only look at four or five data points, such as payroll, location and years of experience in the business, to determine a rate, Jones looks at 20 to 30 pieces of data. "The projects and contracts and certificates of insurance all flow across our platform in a very propitiatory way. We can actually know what is the value of the project, on what floor is it taking place, has the trade contractor had any lawsuits before? Does the prime contractor, are they typically litigious? And many, many other risk factors that allow us to get a sense of the level of responsibility and the likelihood there might be a claim on that project. That’s what gives us the advantage, of being not just the on demand provider of insurance for trade contractors, but also the provider of the best insurance rates. That’s what distinguishes us from other players out there that are focused more broadly and focused on other verticals," Stern told me. That being said, he did mention a few other verticals the company is potentially interested in, one that "we think are interesting and have similar pain points." Those include retail and hospitality, in production entertainment. But for right now, Jones is sticking with its current market, with goal to be the default insurance solution for the real estate and construction spaces. "We see a pretty significant, addressable market in just real estate and construction so our goal is to become the leader in that space, seeing as there’s so much opportunity to solve the problem by starting on the low end and then moving up market," Stern said. "If you’re a trade contractor that’s bidding on a big job with JLL or CBRE or with Arco Construction, which is one of our clients, or any other major construction company or property manager, you’re buying Jones. You’re insured by Jones because it’s the easiest, quickest and most affordable way to get your insurance done and it just makes the most sense." I’d like to see Jones being adopted, and where it will be adopted is in the top 200 property managers and owners, as well as the top 200 fast growing construction companies so that it will be nearly ubiquitous in this market. So whenever you think or even buy insurance you’re going to think about Jones because it’s easiest, most affordable, most convenient way for you to bid for a job." Jones is an insurance platform helping property managers and construction companies to kill the headache of insurance compliance. We provide an easy, automated insurance checkup and offer pay-as-you-go liability insurance enabling vendors to bid for any job. CEO of Jones - Helping contractors overcome the hurdle of liability insurance. We're hiring!